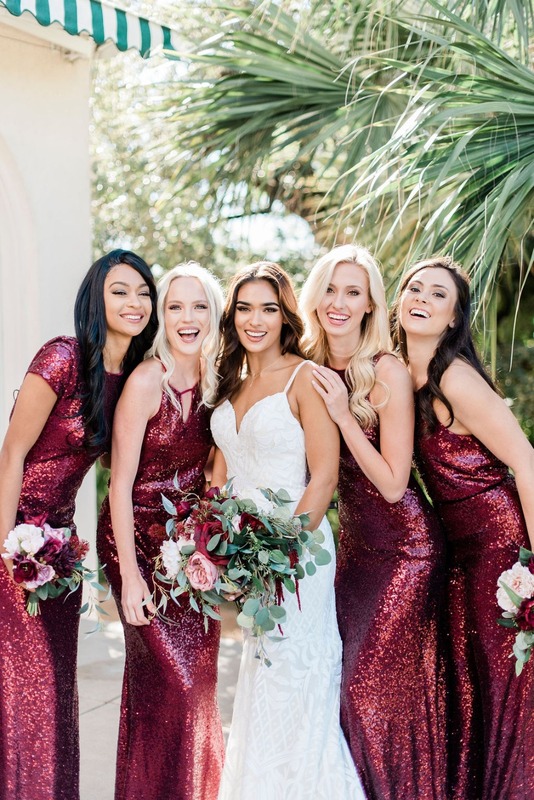 Whether you’re the bride or one of her besties, when it comes to picking your perfect dress for a wedding, you’ve got to consider a wholeeee lot: finding the most flattering fit, loving the feel of the fabric on your skin, and selecting something that won’t let you down on the dance floor. 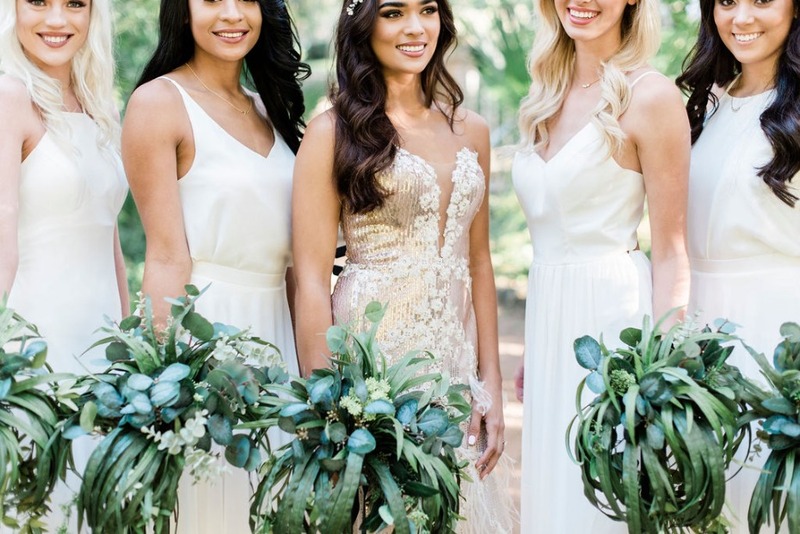 From the beginning, we’ve been in love with Austin-based e-commerce bridesmaid boutique, Revelry, for those reasons. The dresses and separates are affordable, fun, and infinitely Instagrammable; oh, and they’re totally conducive to dropping it low. ((Cue the scene of Kristen Wiig saying “It’s a great color, it’s a great length, it’s fun, you can twirl, you can... you can move in it, you can spread your legs apart…” in Bridesmaids.)) Yup, that’s exactly what you want. When Michelle DeLoach, founder of Revelry, started her company in college selling recruitment apparel to sororities (and grossing over 500k in sales through a Google Doc while she was at it), she quickly realized that creating apparel for special events was her calling. She revolutionized the wedding industry with her direct-to-consumer model in just a handful of years, and now she’s alllll over our Pinterest boards thanks to her tulle skirts and spectacular sequin gowns. But this year, she’s shaking up another aspect of the wedding world. THE aspect of the wedding world: the bride-to-be herself. That’s right, Revelry is officially launching bridal! 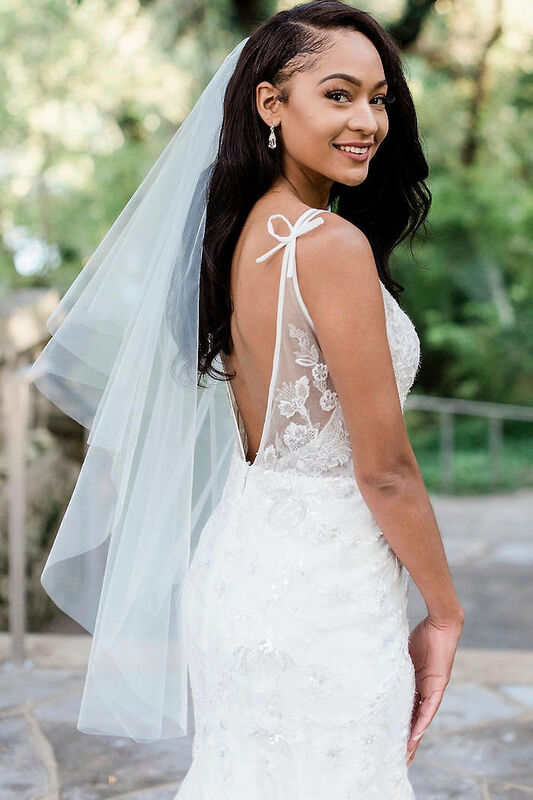 Forever in love with luscious lace, fluffy feathers, sparkling sequins, and all things gorgeous and glam, Revelry’s line of wedding dresses is a reflection of the brand itself: Fun, fearless, and the perfect fit for every bride out there. After being in the wedding industry for over ten years (and standing by her pals’ sides on their days, not-to-mention being a bride herself), Michelle knows just how important finding your dream dress is. More than that, she knows that every bride is unique, so she wanted her line not only to reflect that, but to celebrate it! Revelry is rolling out 26 (yes, 26, as many dresses as there are letters in the alphabet!!) wedding dresses that range from classic silhouettes to trendy cuts - truly a gown for everyone. At a jaw-dropping price range of $850 to $2250, Revelry manages to cut the costs you would pay at a traditional boutique by selling their designer dresses directly to you. Whether you’re eyeing art deco details, traditional sheaths, magnificent mermaids, or something totally different and unique, you won’t be disappointed, because Revelry has a gown JUST for you. We promiseeee. But it’s not even just her crazy selection of stunning styles that has us spellbound. From the start, Michelle has championed an ever-more-inclusive outlook for Revelry, one that offers a wide range of sizes as well as height options. When she was creating her bridal line, that same vision was at the forefront of her designs. 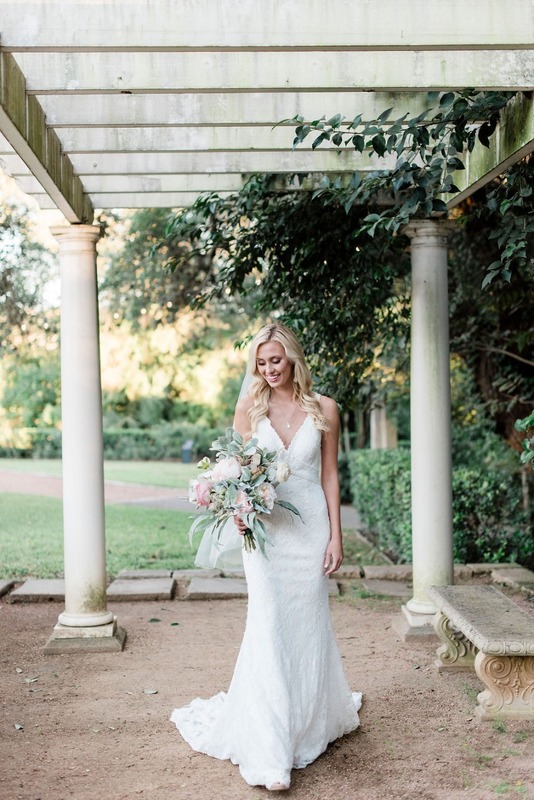 Offering sizes 0-24, as well as two different height options (standard and tall; opting for tall does incur an additional charge), Revelry Bridal is ANTI one-size-fits-all 🙌🙌🙌. Finding a wedding gown in your size has never been so simple, affordable, and, well, fun. Yep, you get it herel, too. Just like Revelry’s bridesmaid line, Revelry Bridal offers samples to try on in the comfort of your home. No stuffy dressing rooms, no pushy sales people -- just you, your girls, your favorite gowns, and maybe a bottle of champagne (or two)! More than that, when you order a bridal sample, you’ll be able to try on a dress in your size AND in the color lining you want. Revelry’s taking the guesswork out of finding your perfect fit, size, and color by sending Sample Boxes filled with everything you need to say “yes!” With measuring tapes, fabric and skin tone-matching illusion swatches, as well as plenty of information and your samples in your size, you’ll be more equipped than ever to find your dress, without ever having to leave your house. Plus, with Revelry’s always baller bridesmaid styles, you and your girls can order your samples together to find the most complementary looks! Whether you throw a Try-On Party, complete with a vibe and all the necessary accoutrements, or you keep it lowkey by having some signature sips and conferencing in your mom, Revelry gives you the chance to make the entire process your own. The most exciting part, though, is actually invisible! In line with her dream of celebrating brides and babes with different shapes and sizes, Michelle wanted to take things up a notch (for brides tying the knot). That’s why Revelry is offering five skin tone options for the illusion details on the gowns. When ordering your gown, above and beyond selecting the size, length (standard and tall), and lining color, you’ll also select an illusion color. Because when it comes to finding the perfect dress, Michelle and her team know that the beauty is in the details -- even and especially the ones you can’t 👀. 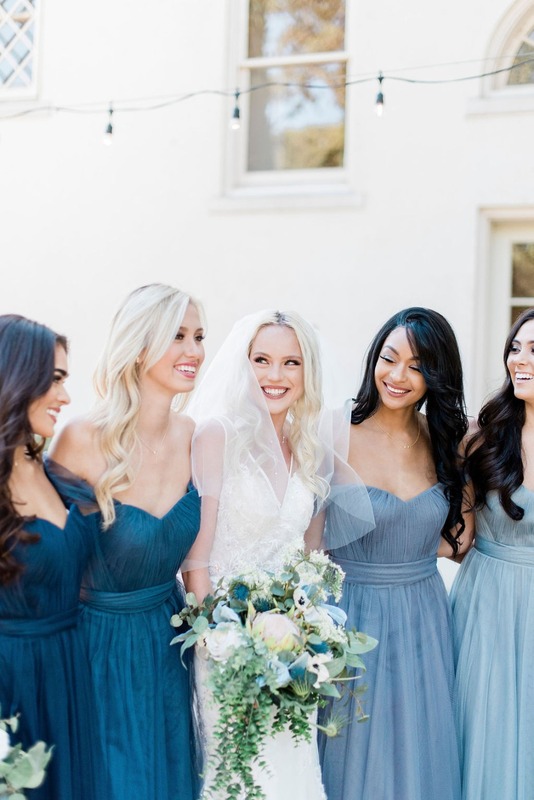 There’s so much to celebrate with the launch of Revelry Bridal, and the fun-loving team wants to do everything to guarantee you not only have the best wedding day, but the best time along the way. 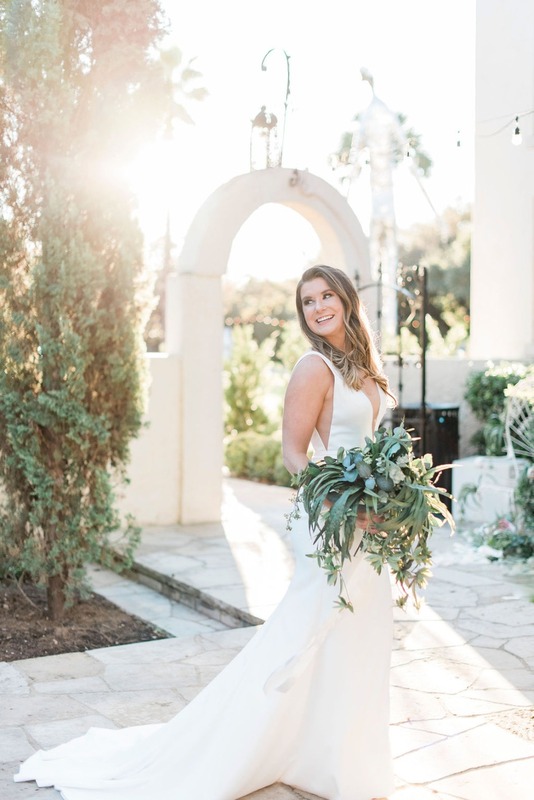 With personal stylist consultations that are just a phone call away, a thriving Facebook group, Revelry IRL, dedicated to answering brides’ and their tribes’ questions, and a founder who believes that finding your dress (on your terms, your way, and on your time) is half the fun, this brand is truly as beautiful on the inside as their dresses are on the outside. So, grab your gals, pop some bottles, and get ready to order the most b-e-a-utiful bridal and bridesmaid dresses around. Because finding your “forever” dress just got a whole. lot. better. Peep the entire new collection👇 and make sure to follow Revelry on IG for all the bride+bridesmaid beauty you need RN. We partnered with Revelry to share all the specs on the brand's first-ever bridal collection. As always, thank you for supporting our sponsors!